Huntington, NY – Scheduling professional dryer vent service by the Huntington Dryer Vent Cleaning Wizard is the best way to eliminate the hidden fire hazard lurking in almost every American home. John Ryley, owner of Dryer Vent Wizard, warns residents that clothes dryers are the most likely appliance to start a fire. 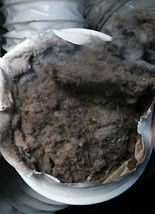 Over time, lint accumulation in the dryer vent system restricts air flow and leads to overheating. Some homeowners try to clean their own dryer vent by cleaning the easiest parts to access. John Ryley says that is a step in the right direction; however, the most difficult parts to access are the most dangerous. This is where the lint can accumulate to block airflow. Professional dryer vent cleaning by a qualified dryer vent service technician is the best way to ensure safety. 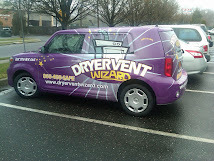 The Wizard (https://www.facebook.com/dryerventwizardsuffolk) knows that some homeowners are capable of doing it themselves so he provides some dryer vent cleaning tips to help out. He explains that there are dryer vent cleaning tools specially designed for effective cleaning, like an auger brush with flexible rods that can be attached to a drill. There are also a variety of other hand tools that can be purchased at the local hardware or home improvement store. The important thing is to do a complete job, getting to all areas of the dryer vent system, from inside the dryer cabinet to the vent outside. Though the Wizard recommends professional dryer vent service, he would rather provide tips to the do-it-yourself homeowner to help reduce their risk. He urges consumers to at least have a complete dryer vent inspection and necessary repairs or alterations done professionally to ensure the system meets current safety standards. John Ryley is dedicated to promoting dryer fire prevention as he educates consumers on the importance of proper dryer vent maintenance. There are some dryer vent configurations that prevent the average homeowner from doing an adequate job. Professional dryer vent cleaning makes clothes dryers safer and greener. John Ryley recommends that everyone, even the do-it-yourselfer, at least schedule an inspection of their dryer vent exhaust system to be sure it meets today’s safety standards. John Ryley provides dyer vent cleaning, repairs and inspections for homes and businesses in New York. 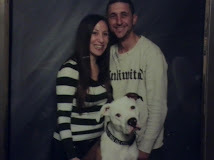 Visit http://www.SuffolkCountyNY.DryerVentCleaningNow.com to learn more. Huntington NY – The Huntington Dryer Vent Cleaning Wizard explains how one appliance can cause both fire and water damage to the home. The home is probably the most important investment any family will make and serious danger could be lurking in the laundry room. This danger is so real that many home insurers are now addressing the problem by making requiring a dryer vent inspection before they will insure. The fire hazard is easy to understand, but how can a dryer cause water damage to a home? John Ryley, owner of Dryer Vent Wizard explains how the dryer functions by removing moisture during the heating of wet laundry. Essentially the moisture is held in the warm air produced by the dryer in the form of humidity which is released through the dryer vent hose. With poorly maintained systems, the dryer lint mixed with humidity equals a dangerous clog. When the humidity cannot escape it can provide a breeding ground for mold and mildew. A full load of wet clothes contains about a half a gallon of water. Lint is created from clothing as water is removed during the drying process. The lint screen traps about 60 percent of the lint created and the rest becomes trapped inside the dryer in the dryer vent system. The moist lint begins to line the inside of the dryer duct building over time until air flow is restricted. A spark from inside the dryer can cause the flammable lint to ignite and cause a rapidly spreading fire. 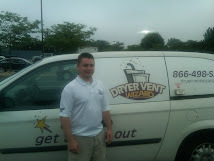 Service by Dryer Vent Wizard (http://www.dryerventwizard.com) will eliminate the problem. A dryer vent system that is not properly moving the moist heated air to the outside can be releasing the air to the inside. When the humidity increases in the laundry room while the dryer is operating this indicates a venting problem. Besides being a fire hazard this venting of humid heated air into the house creates an environment for mold and bacteria to grow. Anyone with allergies knows this can be a miserable situation in the home. Dryer Vent Wizard specializes in dryer vent inspection and service for residents and business owners in Suffolk County, Huntington, Southampton, Manorville and nearby cities and communities. 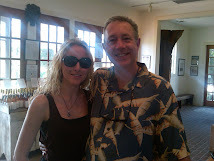 Visit http://www.dryerventcleaninghuntingtonny.com/ to learn more. Dryer Vent Cleaning Huntington: Dryer vent cleaning is one of the most important; yet, the most often neglected, appliance maintenance chore. Dryer vent cleaning eliminates a fire hazard while increasing the efficiency of your clothes dryer. Almost every home has a hidden fire hazard; a clothes dryer! Actually, the clothes dryer isn’t the real danger; the dryer exhaust ducts and dryer vent are. Over time, lint build up in the dryer exhaust ducts, blocking air flow, causing overheating, and resulting in a devastating fire. Professional dryer vent cleaning is recommended to remove the lint build-up and to be sure the dryer exhaust system meets current safety standards. Many homeowners like to do as much as they can, on their own, rather than paying for professional services. Some dryer vents are very short and easily accessible; therefore, the can be maintained by the homeowner. Other systems require the use of special tools and equipment that a dryer vent specialist uses to do the job. For the do-it-yourself type there are tools available in most hardware of home improvement stores. There is an attachment that can be attached to a drill. The rotating action of the auger brush and flexible rods will help access and clean the areas of your dryer ducts where lint builds up. The tool comes with several flexible rods that screw together to reach into longer vents. Once you have scrubbed the ducts, you can blow them out with a shop vac. A variety of hand tools are also available to purchase. If you have an exceptionally long dryer duct system, or if you are unsure as to whether or not your system is properly installed or if it meets current safety standards, it is a good idea to have a professional dryer vent specialist inspect the system, to be safe. Fire departments strongly recommend dryer vent cleaning at least once a year to remove lint accumulation before it becomes dangerous. Lint build-up can also prevent proper ventilation of carbon monoxide if you have a gas dryer. If you are the type who likes to do it yourself to save money then at least have your system inspected and professionally cleaned one time to be sure it is safe. Then do the maintenance on your own. Since a thorough cleaning is recommended each year, maybe you can pay for professional dryer vent cleaning every two to three years, as long as you’re doing your part too.